Are you ready for The Queen Mary's Dark Harbor!? I'm ready to laugh cry.. that's usually what happens when I'm in the mazes and being spooked by the sliders on site at Dark Harbor... don't judge me it's my natural fight or flight reaction! Darkness will once again descend upon the legendary Queen Mary in Long Beach for Dark Harbor, Southern California’s most terrifyingly authentic haunt, with six mazes, private patios, and FOUR new captivating secret bars masked in menacing darkness, waiting to be uncovered. Those daring enough will have the opportunity to venture through Dark Harbor in hopes of stumbling upon the demented delights brewing within The SideBar, Door 13, The Line Up, and The Broken Compass. Guests are encouraged to push their curiosity, mingle with monsters, and test their fears in hopes of discovering the strongest spirits at Dark Harbor to sip on the to-die-for new specialty cocktails that only lurk within. “All throughout Dark Harbor, monsters and crew members will possess a select number of wooden tokens to distribute. Guests can gather these elusive coins by interacting with chaotic characters, making the ultimate wish at the new Gallows Wishing Well, and by taking control and pulling strings in the Imperium Puppet Theatre. 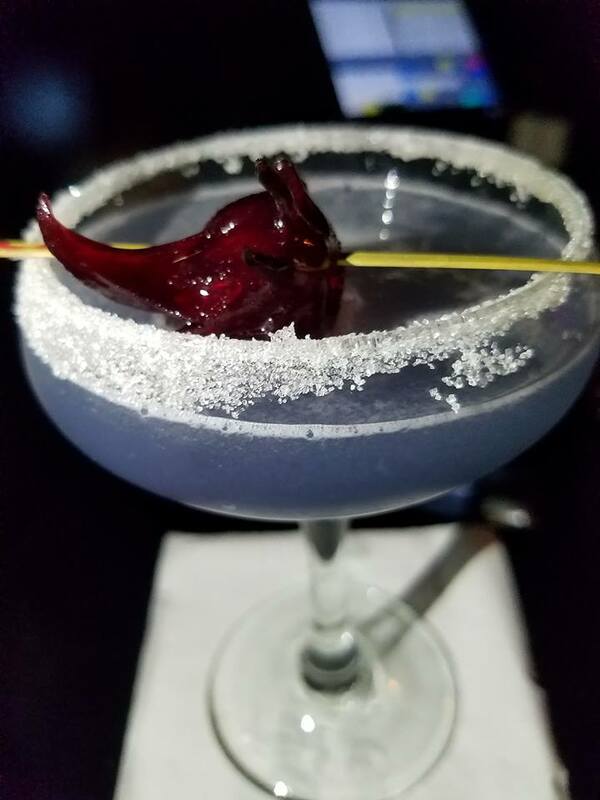 For those select guests who are able to successfully decode the treachery and trickery laid upon them, Dark Harbor’s secret bars will offer their spell binding specialty cocktails that are out of this world. Cocktails include The Pickled Punk - a flavorful whiskey-based shot chased with pickle juice and the Green Gummy Bear - a mixture of watermelon vodka, midori, lime roses juice, a splash of soda and a gummy bear to garnish. For those that are really daring, try the Watery Grave - a spiced rum-based drink mixed with grenadine, coke and lime or the S.O.S. – a Jägermeister, ginger beer and lime juice blend located within Deadrise. In addition to the new secret bars and specialty cocktails, Dark Harbor hosts additional bars including Crime Scene Alley and Hideaway, The Last Drop, The Barrel Tasting Room, Rusty Nail & Pier and 9-degreesIce Cave, which will also provide guests with delectable drinks to quench their deadly thirst. For those with more than just a hunger for horror, cabana menus offer tantalizing table service platters with a variety of enticing entrée options. Head to the Mess Hall at Deadrise for a loaded macaroni and cheese cup or work up an appetite for Poison Pizza at Feast. Guests can take a break from the tricks with treats like crepes, iScream malts and shakes, cotton candy martinis, and liquid nitrogen infused kettle corn that will chill guests to the core. Named one of the top 10 most haunted places on Earth by Time Magazine, The Queen Mary’s Dark Harbor offers the most authentically frightening experience available. Bringing the true infamous tales of The Queen Mary to life, the annual event begins September 27 and continues through November 2, 2018. General admission ticket prices start at just $20 online, with Fast Fright, Evil Express, VIP, Ultimate Scream, and lodging packages available. For more information or to purchase tickets online, visit www.queenmary.com/dark-harbor. Happy Haunt Season on board The Queen Mary! !